Does Nancy Pelosi have senile dementia? 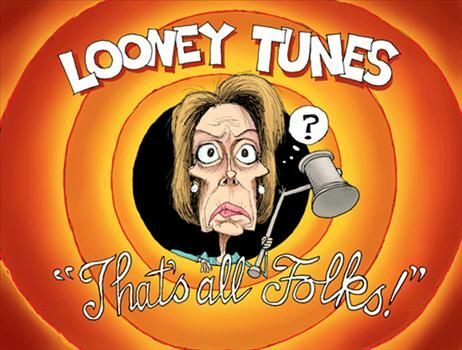 77-year-old House Minority Leader Nancy Pelosi (D-CA) is increasingly incoherent. On June 25, 2017, appearing with MSNBC’s Joy Reid at Manhattan’s Jewish non-profit community-center 92nd Street Y, looking gaunt and sunken-cheeked, Pelosi struggled to communicate, gesticulating wildly and futilely with her hands, repeatedly stopping in mid-sentence and staring at the audience in brain freezes. And once again, the tongue thing. Why does John Kerry flick his tongue like a snake? 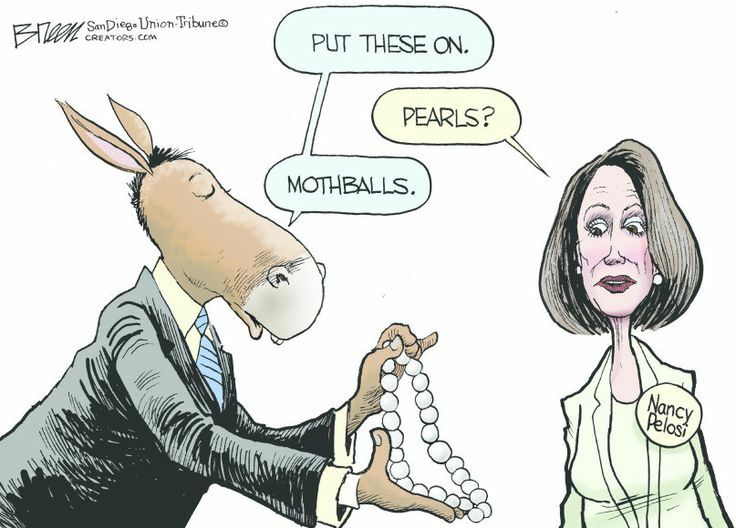 The recent news that DC pharmacy delivers Alzheimer’s drugs to Congress certainly lends credence to speculations that Pelosi has senile dementia. This entry was posted in Congress, Judaism/Jews, Liberals/Democrats/Left, Media, MSM, United States and tagged Nancy Pelosi. Bookmark the permalink. We will know what she said after we vote on her. Does a bear crap in the woods ? Crazy as a shithouse rat. She doesn’t have a lick of sense! This one’s old (2009) but still good. Obviously we need to examine most of senate and con gress folks mental health and Legosie and her coven have been eating too much pizza. Cannabilisim causes such nutbaggery. Call it senile dementia, hardening of the arteries, confused, incoherent, these are all the attributes this crabby old hag has to hang up her hat and walk out in time for a DEPENDS change. Let some young uncorrupted Democrat [if there’s one] to take the reigns of the party and lead them the democratic way, if not it is “the blind leading the blind” into the abyss. All Democrap women are senile. We all know liberalism is a mental disorder, but in Pelosi’s case, it’s manifesting itself to be physical. I think her Dementia was becoming prominent when she said we had to “vote for it to find out what’s IN it”…..She and “Sierra Harry” Reid-they DESERVE each other. Harry Reeeeeed??? Who could that be??? Pelosi has been brain-dead for years. The rest of the democrats don’t care. I pray she has a lingering and painful death. Call it Hell PREPPING. I think she has a combination of being full of herself, too much Botox over the years, a dash of dementia and maybe some small strokes going on. What ever it is, she needs to go home and stay, she is no longer useful to the party but hey, she keep helping us. She and Harry can sit on the porch together and count their ill gotten monies and bang their canes at the young people walking by. Obviously just relying on her zionist ashkenazi fakes to cover for her. Nancy Pelosi should be cast as the Scarecrow in a Wizard of Oz production and break out singing “If I Only Had a Brain”. Speaking of Congress and ‘non compos mentis’, John McCain, a danger to us all, likewise should have (been) retired long ago, that befuddled fuddy-duddy! I wonder if she received an honorarium. It should have been in ‘monopoly’ money. Anyone who attended to listen to her jibberish must also be demented. Power-induced absolute corruption is not satisfied with mere wealth, the greatness of the poverty of others adds to psychopathic/demonic pleasure. A vast separation of social classes is desired, and when that no longer pleased, culling of the here is to be attempted. I believe that there are many in that level of society not so afflicted, they just do not lust for power. May that change. IMPOSSIBLE! She’d need to have a brain first. This all sounds very much like what Hillary Clinton is afflicted by! Real formenting esscalation of detremental organization of reality opinion and other factors will underestimate the need of otherwise revelent data unknown to experts regarding necessary action and will be the reason that legislation controling such action will be necessary. Covfefe. Well that was pretty clear, wasn’t it? She is a prime example of how things actually work. How many “successful” people are that way because they are qualified and good at what they do? How many because they are “connected”? Whether it’s business or government the same principle applies. Maybe we should ask, “why do we put up with it?”. Why should we be surprised? Always remember, prison is not the primary place to find psychopaths. Also she, and those of her ilk claim Mr. Trump is the one that’s incompetent and unable to do his job. Maybe the tables should be turned. Sic the conservative media on them. Have some conservative committees investigate their actions, abilities, connections and motives. Screw the lamestream media’s reporting. Expose thier colusion and conspirisory. YES, which is why she didn’t read the bill before she passed it: she can’t read OR speak. I wouldn’t doubt that she was senile. That isn’t her BIGGEST problem. She’s 110% Tribal-controlled, wind her up and let her babble, bull-goose looney. She has reached a point where she quite literally doesn’t care what she’s saying. Grubb’s Pharmacy needs to rush an Alzheimer’s prescription to her, STAT. good….” on camera/tape before he caught his lapse of political façade.